The restaurant opened and dinner was delicious. 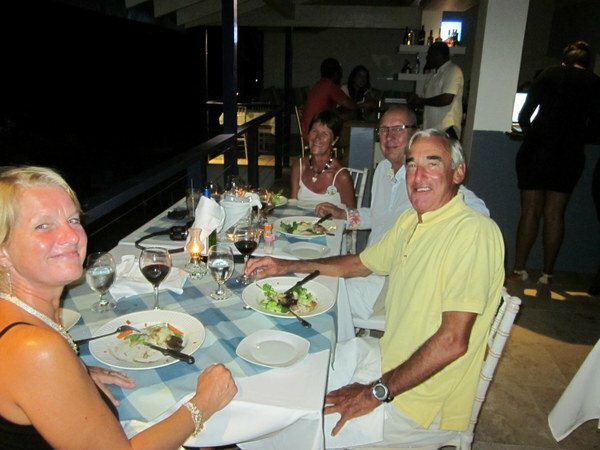 If the culinary standard is maintained Calm Waters won’t take long to establish itself as one of the Caribbean’s ‘must stop’ places for foodies. 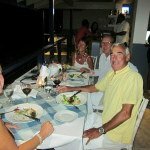 We had a great evening with Clive and Ju (Sephina) and the staff looked after us really well, even singing Happy Birthday when the chocolate cheesecake dessert was served. It is definitely a birthday Claire will remember. 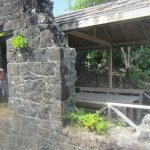 Today’s activity was a trip up Fort Duvernette, also known as Rock Fort or Young Sugar Loaf, a 60m basalt volcanic plug. 255 steps later we were at the ruined Officers Quarters with a 360o view of Arnos Vale, Calliaqua, Blue Lagoon and the Bequia Channel. 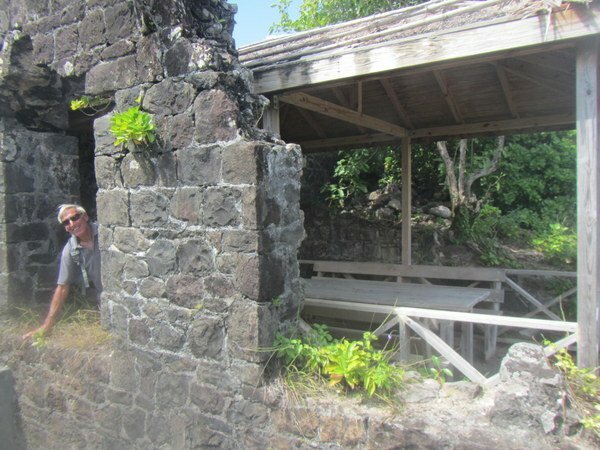 Originally built by the British in 1790s during the second Carib War, the fort is now maintained by the StVG National Trust.